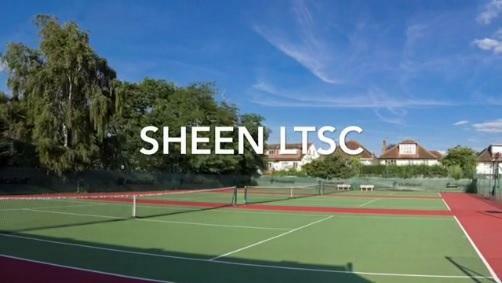 Sheen Tennis and Squash Club offers sporting and social facilities in a welcoming and family-friendly atmosphere. The club boasts excellent facilities with eight all weather tennis courts, one of which is floodlit, two squash courts a bar and clubrooms. Squash and racketball at all standards are played. There are mix-ins on Saturday mornings and ladies sessions on Friday evenings. Sheen welcomes and encourages youngsters from 4 to 18 to play both tennis and squash. See who's playing right now from the comfort of your home. The club facilities are suitable for, and can be hired for, a variety of activities. Regular activities include yoga and ballet. Ad hoc activities include childrens' parties, business meetings, social events and coffee mornings. The club has a large room that can be adapted according to the event, a bar, kitchen, small meeting room and toilet facilities. The premises are suitable for disabled access. For availability, current rates and discussion on the facilities please contact the office on 0208 878 7650. The office is open every weekday morning from 9.30am to 12.30pm.